Black History Month 2013 kicked off last Friday, February 1. In elementary school, this was one of my favorite parts of the year and curriculum. Thinking back, I can trace the roots of the work that I am doing/passionate about today to learning about some of the iconic figures of Black History Month: Harriet Tubman, Martin Luther King, Jr., Rosa Parks, etc. I remember being in the 3rd grade and doing our first project for Black History Month (I’m not going to get into the nuances of how and why this was problematic/cliche/privileged…I am totally aware of them and really want to get to the task at hand); this was the point at which I became particularly intrigued, moved, and troubled by the Civil Rights Movement. I could not comprehend the levels of racism, the violence, the inequality. And at the same time, I remember being so moved by the incredible strength, courage, and sociocultural and political acts set into motion by Black Americans that led to the end of racial segregation and changed the course of American history in many ways. I studied this era throughout elementary school, middle school, high school and into college, at which point I began to move forward in history to the birth of hip-hop, focusing especially on the Golden Era in NYC (late 1980s-early 1990s), making greater connections between the social, cultural, political and economic parallels that could be drawn between the Civil Rights Movement and Manhattan and the Bronx in the 1970s and 1980s. In graduate school, my perspective got rocked and matured when I became aware of my own racial privilege and began accounting for my positionality when thinking about these deeply racialized issues/topics. My interests in and studies of hip-hop have most recently evolved into thinking about hip-hop based education, youth voice, and how the next generation(s) of urban youth [read: youth of color] are breaking new and unprecedented ground in the course of [Black] history. That is where I ‘am’ right now, in my research, at the moment in writing this post. I’ll explain more as I go (slash, as you scroll down). Below you will find a few recent examples (texts, artifacts, etc.) that I feel illustrate the ways in which we, as a society, are reinforcing and perpetuating images and messages that are preventing change at a meta-social level; followed by a few examples of the people and things that we should be focusing our energies on. Thoughts, comments, suggestions are very welcome below. Thank you for taking the time to read, think, reflect. Maybe I was out of town when news about these figurines broke. Maybe the story didn’t gain much traction. Maybe people made conscious decisions to not report on the story and not give it undeserved attention. I don’t know. I also did not spend much time trying to dig up the background story of these dolls. To be honest, I really don’t care about the background story. Whether people saw the movie or not, whether they liked it or not, we are all aware of how controversial this film has been in the last few months. I, unfortunately, am not necessarily ‘surprised’ by the fact that these dolls were made, but that also doesn’t change how offended and disappointed I am about them either. Above are the covers of a number of children’s books, compiled by the New York Times, that feature youth of color protagonists. The rationale for the list is that the majority of introductory chapter books for 2nd-4th graders, “reflect a suburban milieu with white protagonists.” Ok, yes. 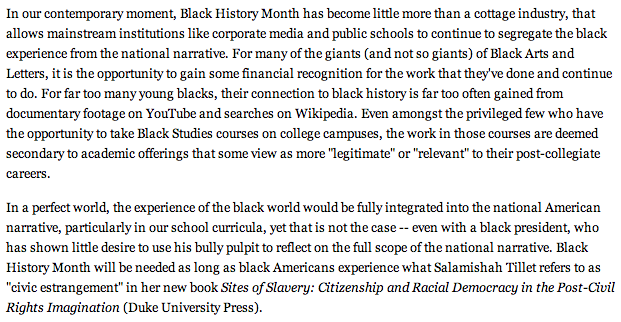 I was happy that this was being acknowledged and that here we have a number of books that star youth of color. The reporter, however, goes on to say that “…students of other races and ethnicities seldom encounter characters like themselves in books, and some education experts say that [this] can be an obstacle to literacy” [emphasis added]. I scrolled down past the image to read the rest of the story, thirsty for some interview excerpts from these ‘experts’ or something, but no. That’s where the piece ended. I get that perhaps there wasn’t room for a longer article or that further discussion wasn’t relevant in this section of the paper, but I was disappointed that the books were left to speak (very briefly) for themselves. I will say, however, that this is good. It’s a good starting point. If nothing else, it is important that this bricolage of ‘culturally relevant’ texts be featured in this highly visible and well-respected publication; if these books gain traction and recognition from this piece, then we are taking steps in the right direction. A friend recently introduced me to this up and coming hip hop/rap artist Joey Bada$$. He’s 18, born and raised in New York City. is rapping about real things and is incredible talented lyrically. Listen to him and what he has to say, especially in this song. And I have 2 additional ‘texts’ that have surfaced since I originally published this post that I feel are noteworthy and help to further illustrate my argument that we need to remember the people and history of this country, while also taking a step back to see the larger picture of what is happening around us today and how people are working to change our narrative every single day. In just about 3 minutes, this 10-year-old boy gives me hope, makes me laugh, makes me cry. This text is an excellent example of the power of youth voice and using a viral video for good. This photographer is doing a photo-a-day project that features black youth as notable historical figures (most of whom are usually present during Black History Month). Perhaps there are some issues with it that I am not seeing/addressing, but I think the campaign makes a pretty excellent case for multimodal projects that involve images, texts, and ‘remixed’ representations of these famous figures, as depicted by young kids. 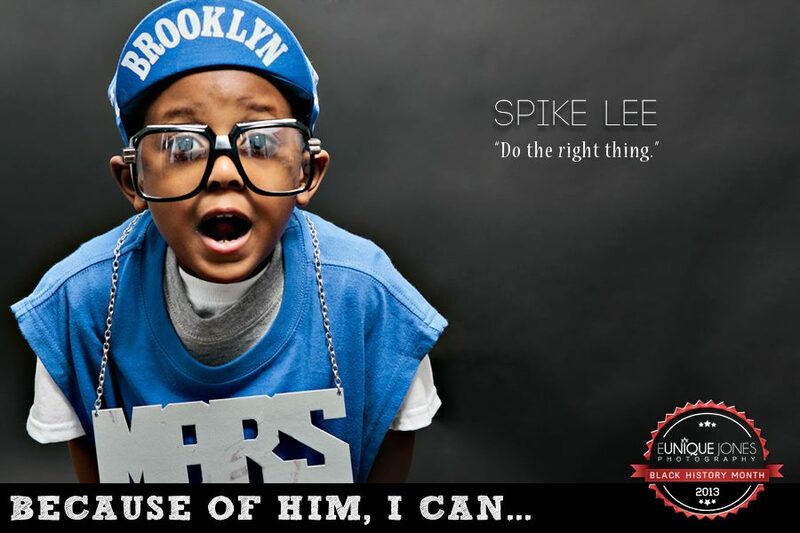 I hope that the kids who did the photo shoot were educated about the people they were portraying, but I’m also thinking about how powerful these texts could be in a classroom–engaging students in conversations about some of the most important people in Black History through images of other youth. First, that we need to expand and strengthen the ‘list’ of Black Americans who we consider to be greatly contributing to Black History (and American history) today. We need to acknowledge the people in the spotlight as well as those in ‘underground’/less visible (but just as important) circles, young and old, with remarkable voices and visions–I’m talking about Yolanda Sealey-Ruiz, Imani Perry, Patricia Hill Collins, Gloria Ladson-Billings, The Crunk Feminist Collective, FAAN Mail, Chris Emdin, Ernest Morrell, Marc Lamont Hill, Shaun Harper, –those who are still fighting for equality, rights, space, power, because we do not live in a post-racial/racist society. Second, given this ground-breaking reality (to some) that we do not live in a post-racial/post-racist world, celebrating ‘Black History’ for 30 days…no, not even…for 28 days (29 every once in a while) IS. NOT. ENOUGH. Don’t get me wrong. I think this month is an incredibly important time to honor the beautiful, groundbreaking moments of our history, as well as to remember the ugly and repulsive acts, moments, attitudes and laws of the same periods of our history. But doing one class project on the Underground Railroad or the Freedom Riders, having one school assembly a year about the ‘token’ figures of the Civil Rights Movement (seen in the first image of this post), or worse, screening Remember the Titans is. not. enough. Educators, parents, people: we do not need to wait until February to talk about these monumental people and times in history. We also should not be afraid to talk about race and racism with our students, children, hell, with each other. Granted, I know that is easier said than done. I’m still working on it, and will be for the rest of my life, but we [white people in particular] need to try. I’ll provide some excellent, seminal resources in my next post, so stay tuned. I loved reading this post!!! People really don’t get why Black History Month or any honor of token Black folks is not enough. 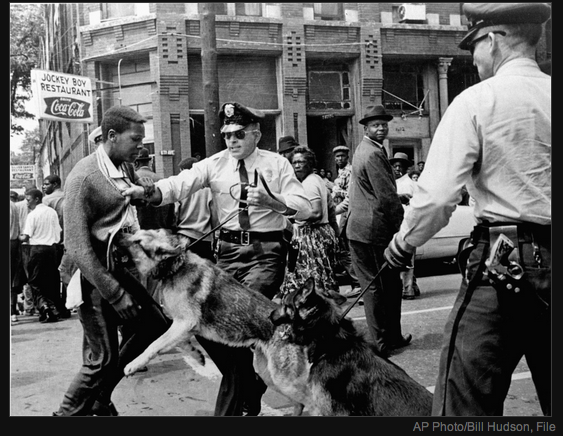 Manly bc it’s presently these people (Dr. King, Obama, Malcolm, Rosa, Harriet) as exceptions not rules. They are presented as the few extraordinary Black folks that all the rest of us Black People have to try to live up to if we ever wanna be truly loved and honored outside of our race. Plus the honor of these token heroes usually take the people who were creating oppression that they had to resist (read White people). Great read! Thanks so much for taking the time to read the post! I’d been thinking a lot about the ‘month’ celebrations (e.g. Black History, Women’s History, etc.) that we have and definitely feel they’re still important but they are not nearly as relevant as they could or should be. Glad you enjoyed it! Would love to hear your thoughts on my ‘Being White in Philly’ post if you get a chance to read it! I will def check it out.